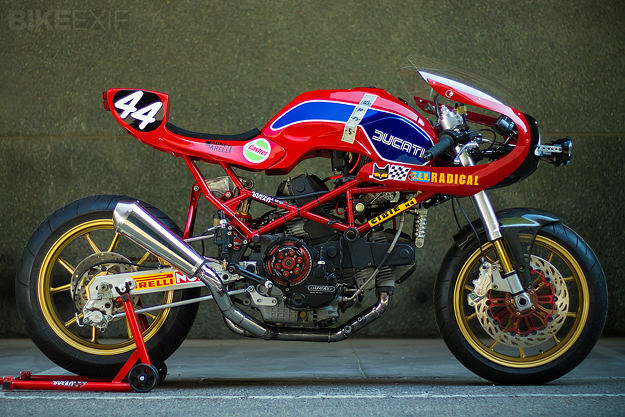 No one does that raw, retro racer look as well as Radical Ducati. The Madrid workshop channels a very appealing vintage aesthetic—and then backs it up with serious performance upgrades. 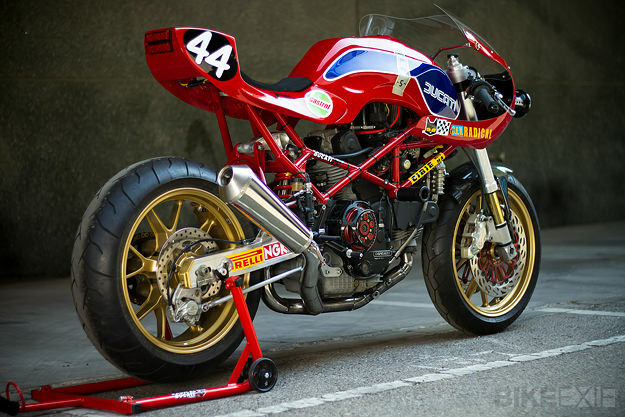 Pepo Rosell and Reyes Ramon build Ducatis that go as fast as they look. 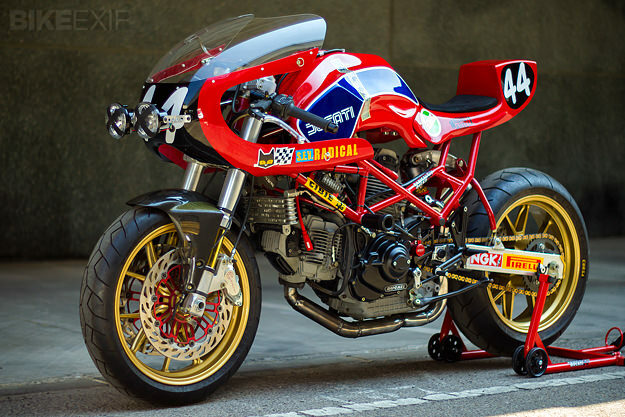 This is their latest, nicknamed ‘Endurance 2013’ and based on a 1997 Ducati Monster M900. It’s dripping with upgrades, starting with a blueprinted engine fitted with ported heads and hooked up to a lightweight flywheel for extra snap. Breathing is via dual Keihin FCR-41 carburetors; an EVR slipper clutch and ExtremeTech shock keep the Ducati 999 rear wheel planted. The front rim is from a high-spec Monster S4RS, hooked up to 749S forks. 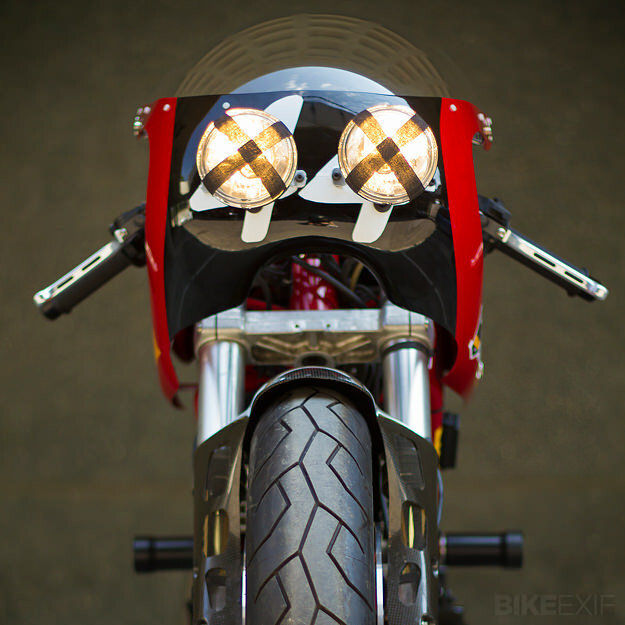 The brake system comes from Discacciati—a Lombardy-based specialist making inroads into the custom and racing scene. 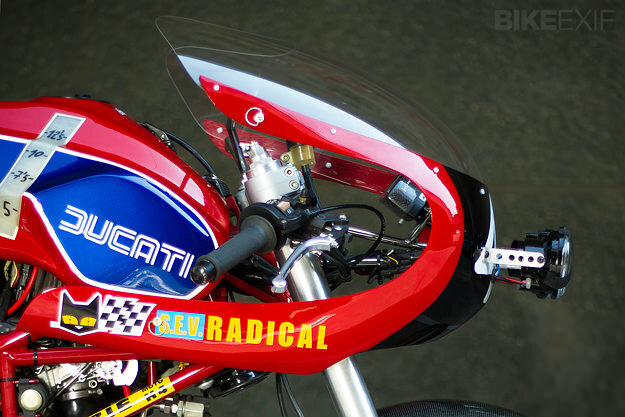 The gorgeous bodywork is Radical Ducati’s own design, from the fiberglass seat unit to the carbon fiber front fender. A pair of endurance-style high/low beam headlights lead the way, mounted onto simple drilled brackets. It’s stylish, beautifully finished and exceptionally rápido. What more could you want? Images by Del Perro. 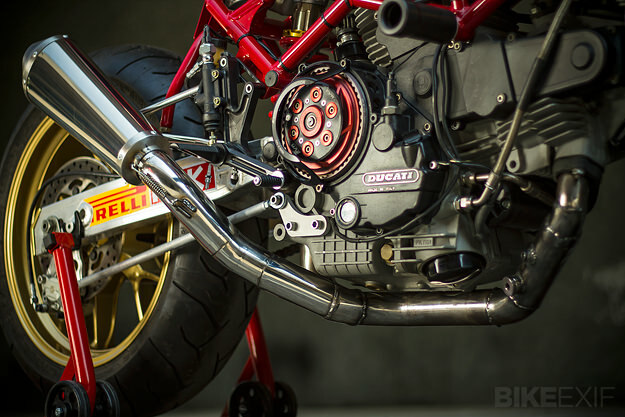 Check our Archives for extensive coverage of previous Radical Ducati builds.